To receive more for what you are already doing? To receive money even when you aren’t teaching? This e-book is for you! Move beyond seeing yourself as an hourly wage earner – in other words, finding ways to make money without adding more classes to your schedule. I have been a full-time Yoga Professional for more than 25 years. 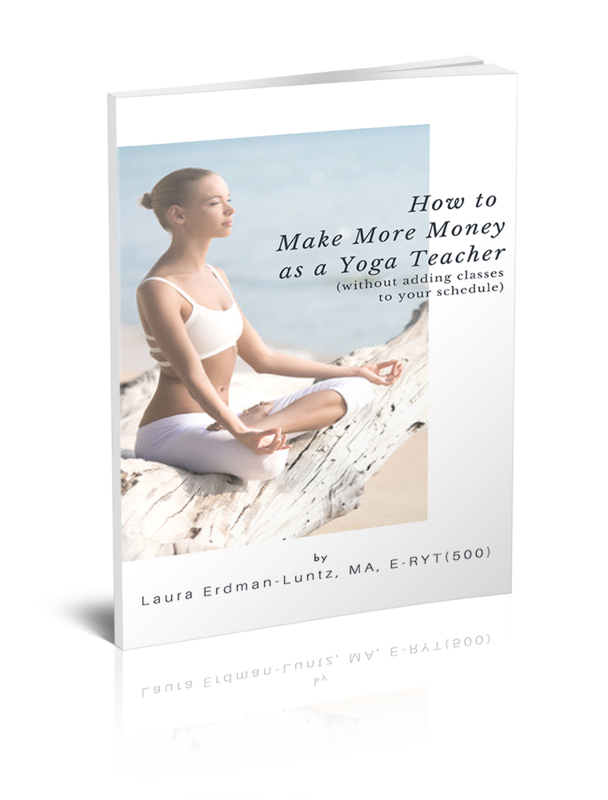 Teaching yoga is my passion and my life’s work, but I want to do so without wearing myself out, keep time in my day for my own practice, and I want to earn far more then merely teaching classes can net me. My class income has never been more than half of my income. It is currently one-third of my income (and it will soon comprise only one-fifth of my income).